步骤1: 登入 Maybank2U 账户. 点击右上角的 Pay & Transfer > Transfer . 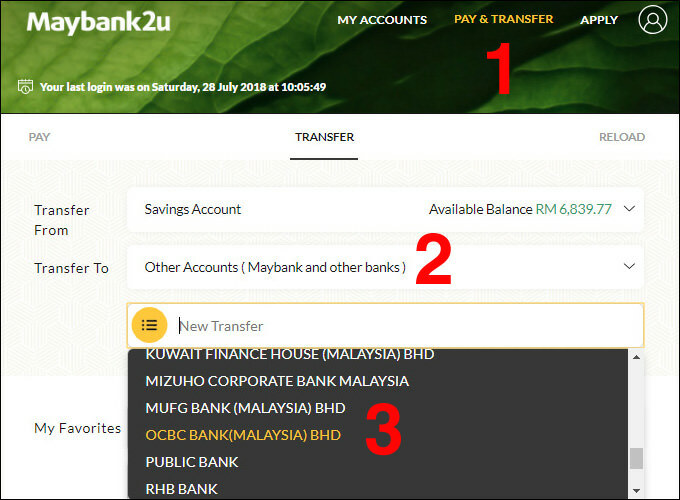 步骤2: 选择我们本身的账户 (Saving Account) , 再选择Transfer To > Other Accounts (Maybank and Other banks) 转账到其他银行. 步骤3: 系统会显示马来西亚所有国内外银行. 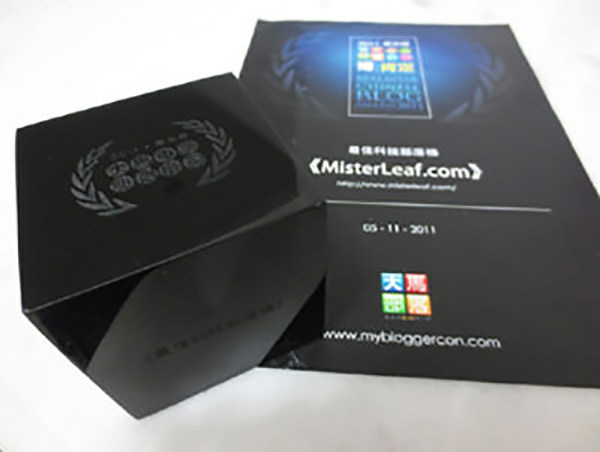 MisterLeaf 选择 OCBC BANK (MALAYSIA) BHD 华侨银行. 步骤4: 填写要转账的信用卡号码，也就是户口号码 (Account Number), 户口名字 (Recipient’s Name), 转账类型 (Transaction Type)， 转账模式 (Transfer Mode) 及转账数额 (Transfer Amount). 确认后点击 Confirm. 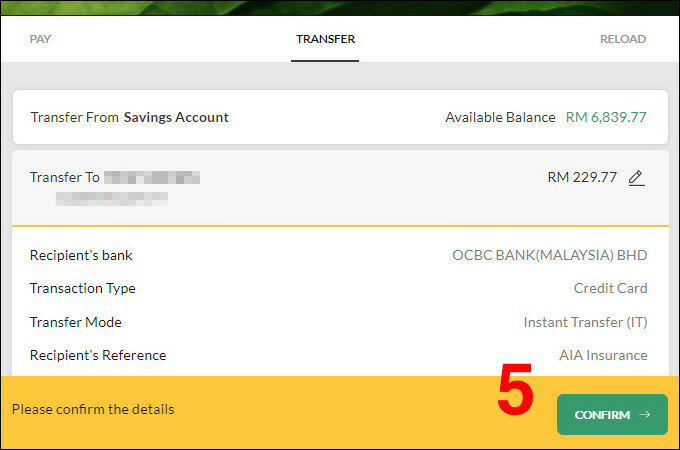 其实使用 Maybank2u 付信用卡账单就是把钱从 Maybank 转账到OCBC华侨银行的户口啦。银行的电子转账有2种，一种是 Interbank GIRO 或简称 IBG. 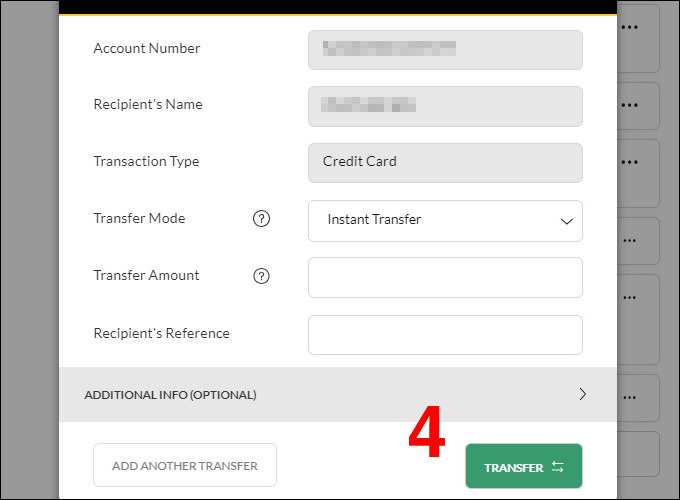 另一种则是 Interbank Fund Transfer (IBFT), 或常说的 Instant Transfer.